Corner Curtis Rd & Darling St.
M.A.S.S. returns. Now in its 10th year M.A.S.S. will be kicking off its year-long celebration with another set of fine performers this coming Sunday. 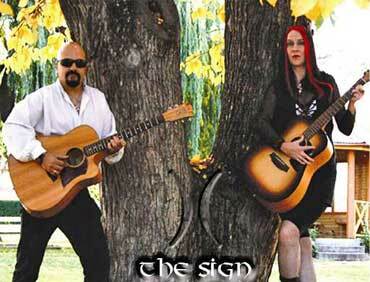 The Sign - The Sign are Joey and Pall Dee, A Tasmanian duo. The Sign’s musical style is drawn from rock, blues, pop and folk influences. Continuously evolving, Using 12 string and 6 string acoustic guitars to present their own unique sound. Joey Dee has been a performer all her life and has played in most of Australia and New York. Pall has been performing since he was 14 years old and has played all over the entire eastern seaboard of North America to Los Angeles, California. Great Vocals, excellent harmonies and compelling lyrics make The Sign a must see and hear. Fess - A powerful singer/songwriter/guitarist who plays what would be best described as ‘acoustic blackness’ and has been a regular performer on the Sydney acoustic music scene. Peter Miller-Robinson - Peter Miller-Robinson is a songwriter, singer and guitarist, whose original music embraces elements of folk, blues and jazz. He also plays mandolin and eight string ukelele. He is known for strong, rich vocals, dexterous playing and astute, often wry lyrics. Phillip Adams (ABC's Late Night Live) describes Peter's work as "fine writing". Peter is an enthusiastic live performer. He plays regularly at festivals, folk clubs, universities and on National and public radio. He has shared the stage with many well known local and overseas artists. In 2007 he supported Bo Diddly (RIP), Eric Burdon, Rodriguez and Chris Smither at the Basement in Sydney during their Australian tours. He has twice received awards from the Australian Songwriters' Association. 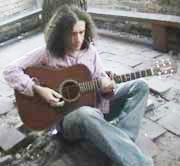 michael-john azzopardi - Guitarist Australia magazine once described him as an “Esoteric genius with a penchant for intricate acoustic masterpieces”. Stylistically, Michael-John’s music draws from a wide spectrum of influences including, Celtic/European and Eastern folk, blues, jazz, rock and alternative. He is a regular performer on the Sydney music scene as well as various festivals and folk clubs throughout NSW and the ACT. In a recent review of Michael-John’s self-titled album it was said “He knows how to coax the feeling from a lyric, to husband it with tenderness, lust or wit as the moment dictates. Both his voice and his guitar are expert at expressing the subtlest sentiment and the most strident outburst”. Musicians And Singer Songwriters (M.A.S.S.) is a musical showcase event which has been in existence since 2000. The showcases feature 3-4 original performers covering almost all musical genres. M.A.S.S. 's stage has been graced by hundreds of performers from Sydney, interstate & abroad. M.A.S.S. provides performers the opportunity to perform in front of an always attentive, respectful & appreciative audience. For the audience M.A.S.S. provides an intimate & friendly venue where they can enjoy quality performances for very little cost.